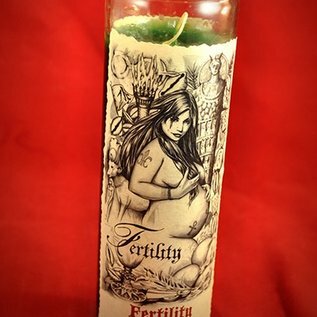 Burn this candle to bring your Fertility of Mind, Body, and Spirit. 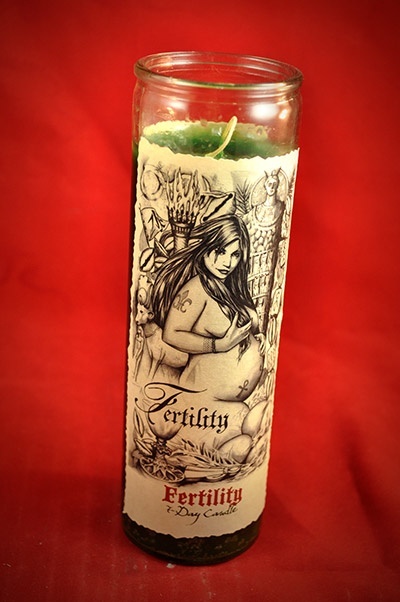 This candle is inscribed with powerful symbols of Fertility magic. Bless it with your own intentions and incant the spell that is on the back.